Facebook CEO is now a Father and He's Giving Away $45 Billion, well.. someone is really Happy right now...! 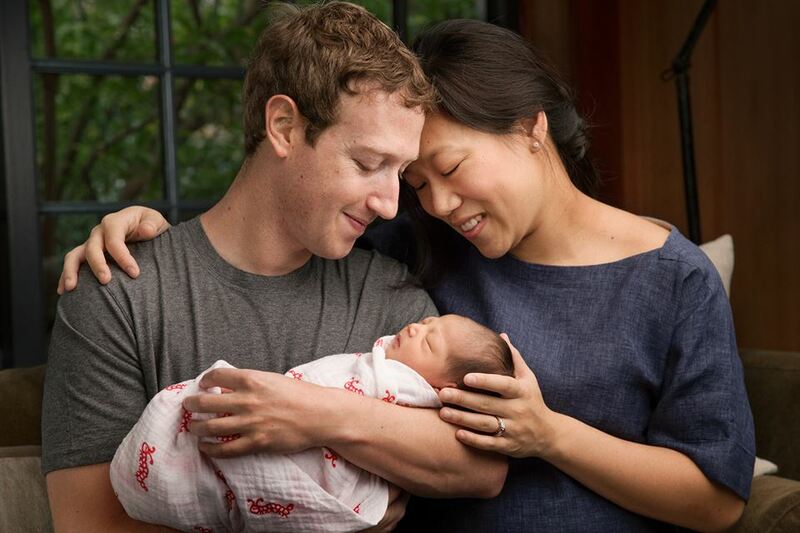 Mark Zuckerberg, Facebook co-founder and CEO is now the father of a baby girl named Maxima, he and wife Priscilla Chan revealed on Tuesday via a post on Facebook. We're so happy to welcome our daughter Max into this world. Everyone is happy and healthy. Thank you for all your love and support through our pregnancy. There is so much joy in our little family. Also Mark wrote a Facebook Note titled -"A letter to our daughter"
Mark Zuckerberg and his wife say they'll devote nearly all their wealth — roughly $45 billion — to solving the world's problems in celebration of their new baby daughter, Max.